Paramount Pictures has cast Michael B. Jordan to play John Clark in an upcoming film series based on the popular Tom Clancy character. Jordan will star in two movies, starting with Without Remorse and then following with Rainbow Six. The first installment serves as the origin story for Clark, who before then worked alongside Jack Ryan in The Cardinal of the Kremlin, Clear and Present Danger, and The Sum of All Fears. While Without Remorse will set up Michael B. Jordan as the John Clark character, Rainbow Six will have Clark leading his new task force to protect the world from terrorist threats and no longer playing the muscle to Jack Ryan’s brains. The character has been played on the big screen by Willem Dafoe and Liev Schreiber in the past. Paramount has been trying to get the John Clark story told on the big screen for years and has had stars like Ryan Reynolds close to signing on, but Jordan will now officially lead the new set of films. Michael B. Jordan is on the rise after the release of Creed and this year’s Black Panther, both of which were directed by Ryan Coogler. Jordan played the formidable Killmonger in the Marvel film and elevated the movie, along with his co-stars. Jordan brought a human-quality to the villain as well as a sense of morality to the MCU project, which has been knocked in the past for having villains that weren’t executed very well. Killmonger has a tragic upbringing, and so does John Clark when he loses his mother to cancer and his father in a blazing fire in the Tom Clancy novels, which is a familiar pain that Jordan will be able to bring to the big screen. In addition to being one of Tom Clancy’s best-selling novels, Rainbow Six was also adapted into a best-selling video game series made by Ubisoft. The first-person shooter games have been coming out since the late 1990s and have sold millions of copies worldwide. The novel came out in 1998, along with the first video game, and Paramount officially announced plans to make the big screen adaptation in July of 2017 with Akiva Goldsman on board to produce the project. The studio is currently meeting with potential writers and directors for the films. Michael B. Jordan will be seen in the highly anticipated Creed 2 with Sylvester Stallone next, which hits theaters on November 21st. Stallone reunites with Dolph Lundgren’s Ivan Drago, while Jordan’s Adonis will have to fight Drago’s son, Viktor. Jordan is an ideal pick to play John Clark and lead the new Tom Clancy franchise. The young actor has taken on a variety of different roles over the years that have given him the flexibility to pretty much pull anything off, so he might as well add action star into the mix. 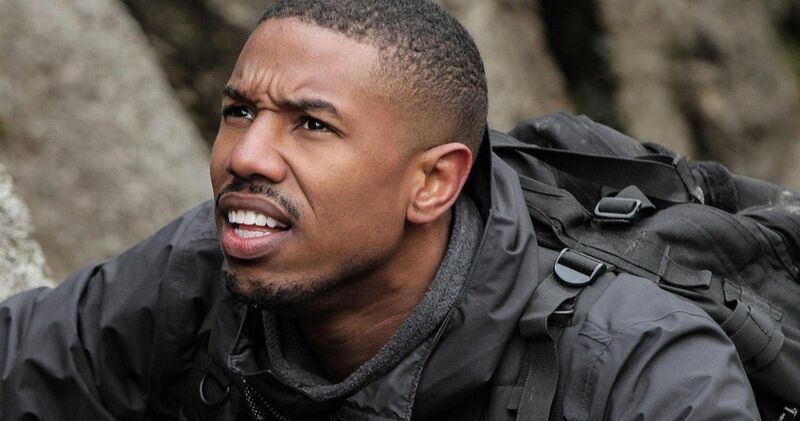 Variety was the first to reveal that Michael B. Jordan will be starring in Tom Clancy’s Rainbow Six and Without Remorse.